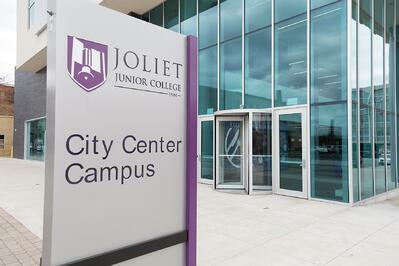 Take part in JJC's scavenger hunt and you could win a fleece jacket just in time for fall! To enter: Take your photos according to the challenges below, then post them and tag @Joliet Junior College on Facebook or @JolietJrCollege on Instagram. Deadline: Friday, Oct. 5. 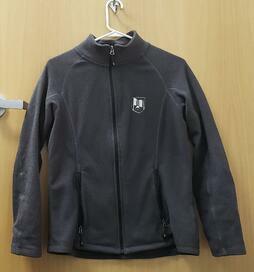 Prize: A JJC fleece jacket, plus a few other JJC goodies! One photo equals one entry. You can only enter each challenge once. Post these photos all at once, individually, or on separate days - whatever is easier for you! If you don't tag JJC on Facebook or Instagram, your entry won't count. IMPORTANT: All photos must be taken between Monday, Aug. 27 - Friday, Oct. 5. The winner will be announced on Wednesday, Oct. 10 and will be chosen at random. Questions? Email ssottosa@jjc.edu. 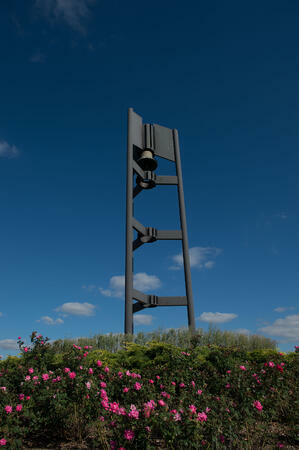 Take an outdoor photo of any JJC campus building (any building on Main Campus or any extended campus). 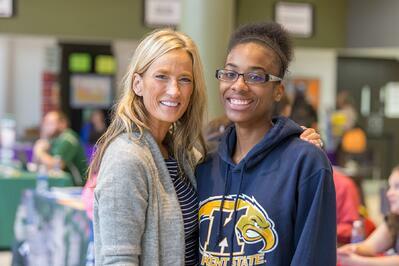 Take a photo with one of your current or past professors. Take a photo of you or a friend in your favorite study spot on campus. Take a photo of you (or of you and your friends) in a JJC classroom or lab. 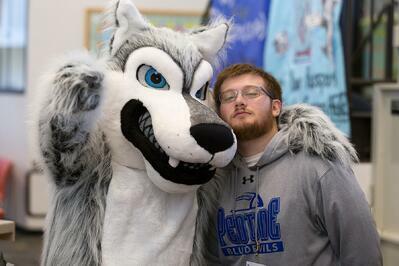 Take a photo with Wiley Wolf! Wiley is seen every now and again wandering around campus. Whether it's for an OSA event or a JJC Wolves game, if you find him, make sure to snap a photo for this bonus challenge! QUIZ: What Should I Study?